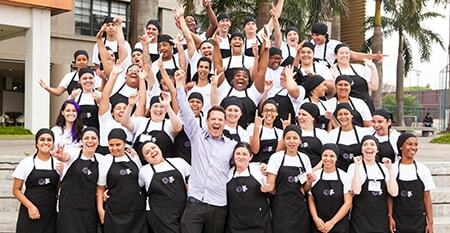 The Hub of Social Gastronomy in Rio de Janeiro. While one-third of all food produced in the world is wasted, more than 100 million people go hungry. 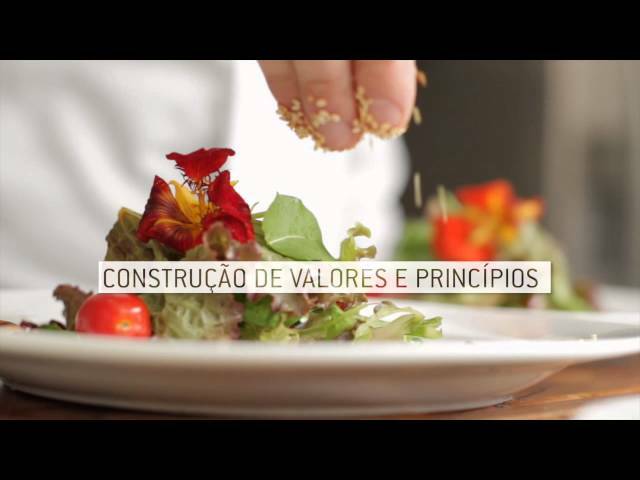 Refettorio Gastromotiva is an initiative brought to Brazil by chefs David Hertz and Massimo Bottura (Food for Soul), and journalist Ale Forbes, with the mission to the fight food waste, malnutrition and social exclusion. Corporate volunteering: write to eventos@gastromotiva.org to plan an activity outside the company as a team-building dynamic to stimulate teamwork and solidarity. Exclusive volunteering: If you want to come with a group of friends on a scheduled day, you may sponsor a solidarity dinner night. Please contact eventos@gastromotiva.org. The place that everyone wants to be, but only those registered by the Airbnb Experience have access: the Refettorio Gastromotiva kitchen! Sign up for “A Banquet for the Soul” at https://www.airbnb.com.br/experiences/37862. Lastly, you can support our project by renting our beautiful space for parties, cocktails, weddings, filming, corporate events, and fairs. All income is reverted to the solidarity dinners and maintaining our social impact. Refettorio – Reficere in Latin – means to redo or to restore. We give new meaning to at least five tons of food that would be wasted each month. Every day, all these fruits and vegetables pass through the hands of invited chefs and students in training, and are transformed into nutritious and delicious appetizers, entrees, and desserts. At least 5,400 dishes per month are prepared for people in situations of socioeconomic vulnerability, especially the homeless. To understand the climate of one of our dinners, please watch the year-end campaign we conducted with our partner, the GNT channel, and its entire cast.